Connect With Nature. Share With Educators. Learn Together. 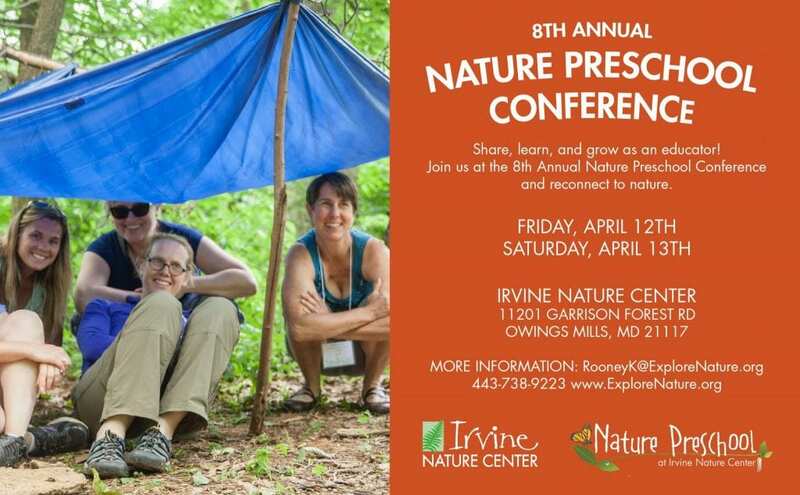 Join Irvine Nature Center — a leader in Nature-Based learning — for our 8th annual Nature Preschool Conference on April 12th and 13th. The Nature Preschool Conference is a gathering place for educators of children age birth to fourteen to share ideas, learn from experts, engage in discussion, and get hands-on experience. We encourage participants to think critically, ask questions, reflect on their practice, and share their experiences with all as we strengthen our growing community dedicated to powerful learning through play and interaction with the natural world. EARN YOUR MSDE CREDIT HOURS! This Nature Preschool Conference has been approved by the Maryland State Department of Education as meeting the requirements of a state conference. Participants are eligible for a total of 9.5 clock hours if attending the full conference. Rachel Larimore is a private consultant and doctoral student in curriculum, instruction, and teacher education at Michigan State University focusing on nature-based early childhood education. For 15 years she was the Director of Education at Chippewa Nature Center in Midland, MI and the founding director of the Center’s nature-based preschool. Her duties included coordinating all youth programs including school programs, nature day camp, scouts, nature preschool, etc. She also co-chaired the Nature Center’s $6 million expansion project, which was completed in 2010. The expansion included an approximately 5,000 square foot LEED Gold Certified preschool building. In 2007, she developed the Nature Preschool at CNC and implemented all of the on-the-ground work to bring it to reality—a program that now serves 124 children each year through public and private funding sources. To help other centers create a similar program Rachel authored Establishing a Nature-Based Preschool published by the National Association for Interpretation. 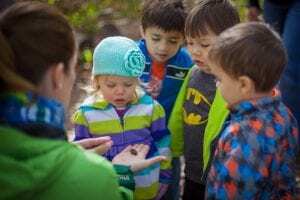 As a result of this publication Rachel has been consulted by other nature center’s as they embark on opening their own nature-based preschool program. In addition, Rachel organized the first ever Nature-based Preschool National Conference hosted in May 2012 by CNC, which brought approximately 50 nature-based preschool teachers and administrators from across the country to share ideas, challenges, and successes, and is now coordinated by Natural Start Alliance. 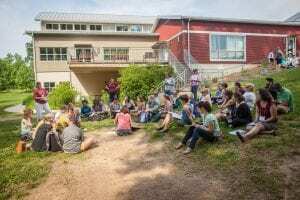 As another way of sharing the successes of the nature-based preschool approach, Rachel implemented a four-day teacher training for early childhood educators hosted at CNC called Nature Preschool Institute. Rachel has been invited to present at numerous conferences within the environmental education and early childhood education fields, with attendee numbers reaching more than 400 early childhood providers each year. 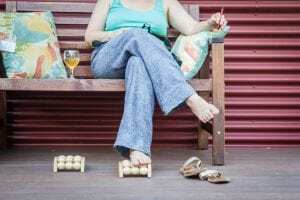 In addition, she worked with the local school district, Bullock Creek Schools, to establish a nature-based kindergarten in 2012 and a nature-based first grade in 2015. She has a forthcoming book (March 2019), Preschool Beyond Walls: Blending Early Childhood Education and Nature-Based Learning published by Gryphon House, which focuses on curriculum and pedagogy related to the nature-based approach. Rachel received a bachelor of science in natural resource recreation and tourism, a master’s in park and recreation administration. She has been recognized for her work by various organizations including the National Association for Interpretation Region 4’s in 2012 with the “Master Interpretive Manager” recognition; First State Bank’s “RUBY Award” in 2013 for professionals under the age of 40; and Exchange Magazine in 2015 with the “Promising Early Care and Education Leader” award. Learn more about Rachel and her work at www.rachel-larimore.com.